Once in active labor the midwives were checking the baby's heartbeat by underwater dopplar every 15minutes. We spent a lot of time listening to that miraculous sound. Alyssa was so awake after the delivery. She was looking around and taking everything in, especially her parent's voices. Safe in her mama's arms. Alyssa was so chill it was amazing to see how she already felt secure in her new world as long as mama or daddy was holding her. Just catchin a few rays under the warmer. Before baby Opal was even disconnected from her mama Dad got to hold her while Mama was getting some attention. 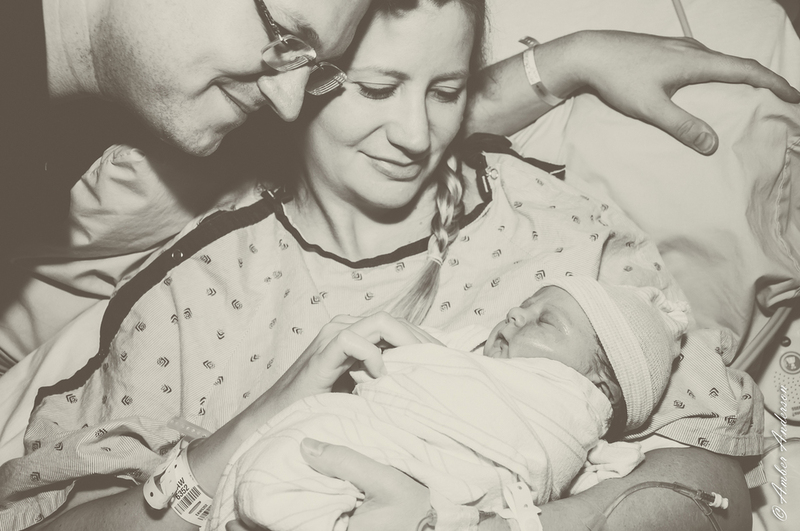 Jessica delivered her own baby with the help of her Midwife and Husband at Mercy Gilbert Hospital! It was truly amazing to see.